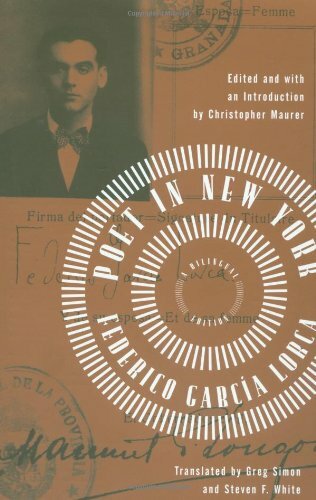 Written while Federico García Lorca was a student at Columbia University in 1929-30, Poet in New York is one of the most important books Lorca produced, and certainly one of the most important books ever published about New York City. Indeed, it is a book that changed the direction of poetry in both Spain and the Americas, a pathbreaking and defining work of modern literature. In honor of the poet's centenary, the celebrated Lorca scholar Christopher Maurer has revised this strange, timeless, and vital book of verse, using much previously unavailable or untranslated material: Lorca's own manuscript of the entire book; witty and insightful letters from the poet to his family describing his feelings about America and his temporary home there (a dorm room in Columbia's John Jay Hall); the annotated photographs which accompany those letters; and a prose poem missing from previous editions. Complementing these new addtions are extensive notes and letters, revised versions of all the poems, and an interpretive lectures by Lorca himself. An excellent introduction to the work of one of the key figures of modern poetry, this bilingual edition of Poet in New York is also a thrilling exposition of the American city in the 20th century. Federico García Lorca is one of Spain's greatest poets and dramatists. He was born in a village near Granada in 1898 and was murdered in 1936, at the beginning of the Spanish Civil War.